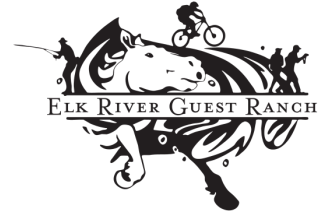 The Elk River Guest Ranch includes four guest cabins nestled in the snow-drenched Elk River Valley just thirty minutes north of Steamboat Springs and a short 45 minutes to Steamboat Mountain. 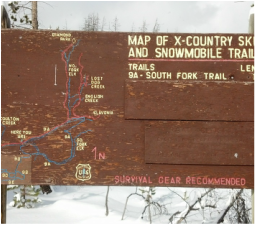 For the backwoods adventure type, snowshoeing, snowmobiling, and cross-country skiing may suit your fancy. Or, if you're the 'sit by the fire' type, our quaint cabins will put you right at ease. 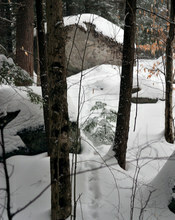 We offer rentals for Tubbs snowshoes. We have sizes for kids, women and men. Rates are $20/pair per day for lodging guests only. 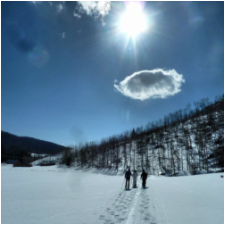 Bring your own gear or rent nearby for some of the best cross-country skiing in North Routt. Snowmobile rentals are available just two miles up the road from us through High Mountain Snowmobile Tours or bring your own and park overnight here at the ranch. The Steamboat Springs and Clark area has everything you could possibly want of snow-oriented activities to keep you busy. If you're interested in feeling the heat on your winter wonderland vacation, check out the Strawberry Park Hot Springs. Need help driving in the snow? Steamboat offers the Bridgestone Winter Driving School. Or, if it takes a special event to drag you up to this paradise, be sure and visit during the Winter Carnival in February. 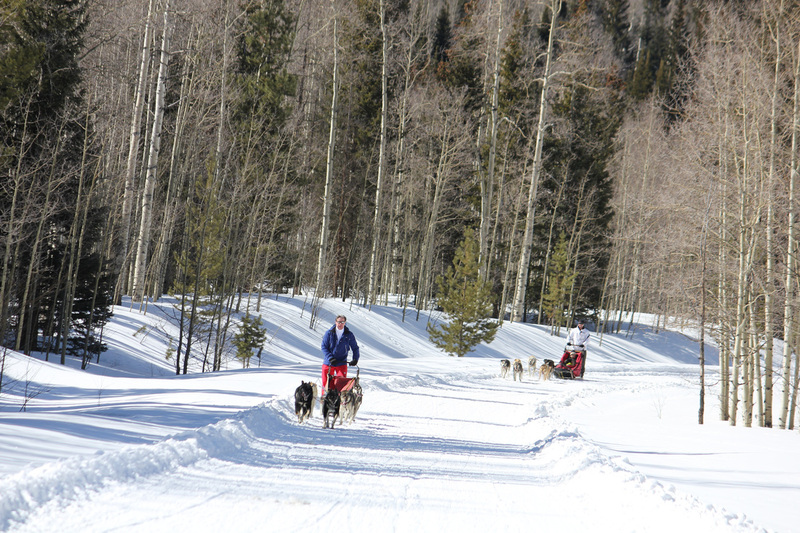 Grizzle-T offers dog sledding just outside of Steamboat Springs. Check them out HERE. 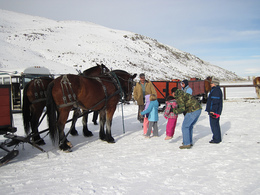 Sleigh Rides are available all over the Steamboat and Clark area. Visit the Steamboat Chamber's website for more information. 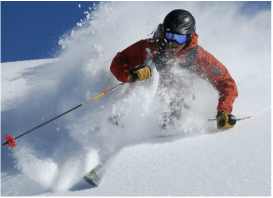 Forty minutes from the ranch, Steamboat Mountain offers great skiing and instruction. Click HERE for more info.